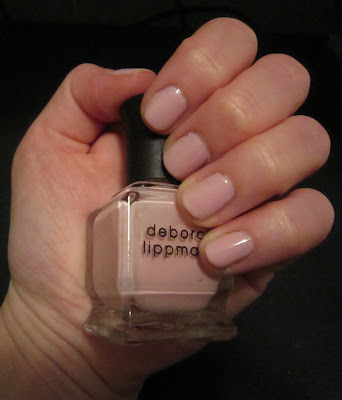 I'm not normally one for pale pink nail polish -- but in the case of Deborah Lippmann Shape Of My Heart, I'll make an exception. I love the creamy texture and the rich opacity of the pastel hue -- it's actually not like any other polish in my collection. Seen here with three thin coats. This is on day four -- and not even a hint of tip wear! Deborah Lippmann Shape of My Heart retails for $17 at beauty.com. A portion of proceeds from each sale will be donated to the Hoag Hospital Breast Cancer Center.